Klehm Arboretum & Botanic Garden, 2715 S. Main St., is presenting a holiday treat to the community. It includes entertainment, decorated Christmas trees, bite-sized treats, hot chocolate and sugar cookies – all wrapped up in the wonders of nature. 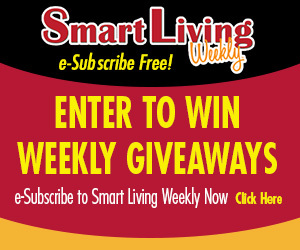 Congratulations to Carrie Romine, of Machesney Park, this week’s Smart Living Weekly giveaway winner! Carrie takes home 4 tickets to public skate at Carlson Ice Arena or Riverview Ice House. This entry was posted on Wednesday, November 28th, 2018 at 5:00 am	and is filed under News & Events, Smart Living Weekly. You can follow any responses to this entry through the RSS 2.0 feed. Both comments and pings are currently closed.